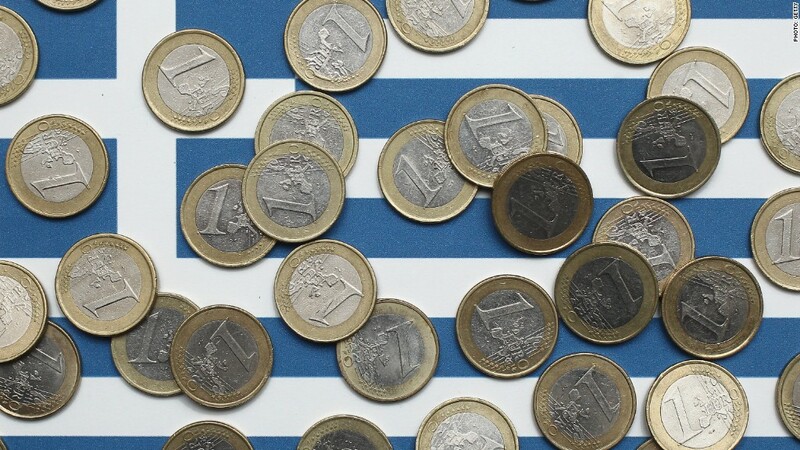 Greece is spiraling ever deeper into a financial and political crisis that could end with it becoming the first country to crash out of the euro. That's not going to spell the end of the European Union -- after all, Greece represents just 2% of the eurozone. Its economy is worth about $200 billion, making it slightly bigger than Alabama, but smaller than Oregon. So why did President Obama pick up the phone Sunday to urge German Chancellor Angela Merkel to try to find a solution, even at this late hour? 1. Fear of the unknown: Will it be a "Lehman moment"? 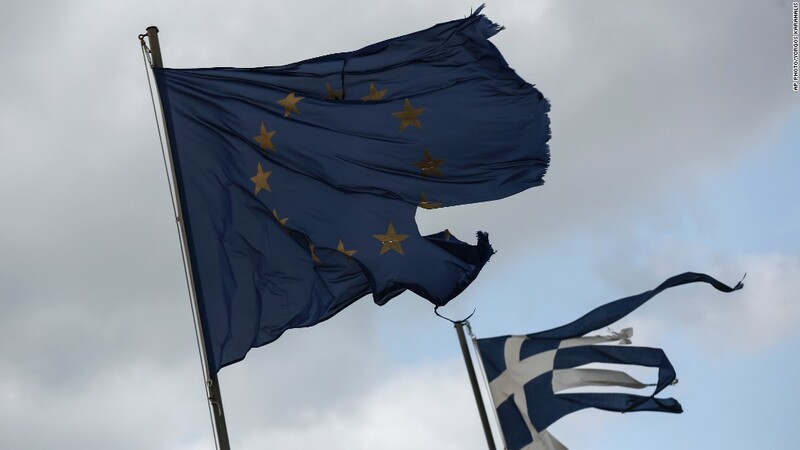 Markets around the world took a beating Monday in response to weekend developments that have set Greece on the path to defaulting on its enormous government debt and ultimately abandoning the euro, the so-called 'Grexit' scenario. That's not because investors are heavily exposed to Greek assets. In fact, most of Greece's debt is now held by other governments and international institutions that are strong enough to cope with a default. Some U.S. hedge funds are invested in Greek banks -- and have already taken hefty losses - but most global banks have relatively little at stake in Greece's financial system. And while some countries such as Spain and Portugal saw yields on their government bonds rise Monday, the move was modest. It's the fear of sailing into uncharted waters that is driving markets. It's not every day a country goes bust. A Greek bankruptcy would be the largest in history, and test the firewall the European Central Bank and other institutions have been building since 2012. Some investors will be thinking about 2008 when the collapse of Lehman Brothers marked the peak of the financial crisis. Will Greece be another "Lehman Moment?" 2. Europe's biggest failure: Will other countries go too? Greek and European officials are now trading accusations of blackmail, humiliation, betrayal and lying. So much for the commitment to build an "ever-closer union" enshrined in the European Union's founding Treaty of Rome in 1957. "In one night, Europe suffered a major blow," said European Commission President Jean-Claude Juncker on Monday. In practical terms, a permanent split would trash Europe's claims that the euro is irreversible. "It's not an empty word now," said Mario Draghi in 2012 when he promised the European Central Bank would do "whatever it takes" to preserve the euro. It's hard to imagine any other country choosing to follow Greece into the economic abyss, but some weaker eurozone economies may pay the price in permanently higher borrowing costs if a 'Grexit' materializes, despite the ECB's best efforts. Greece has already suffered a huge amount of pain. The economy has shrunk by 25%, unemployment has rocketed to record levels, and one in two young people are without work. Wages and pensions have been cut. Shops are shuttered. But it could get a whole lot worse before it gets better if Greece leaves the euro. A new drachma would be worth much less than a euro -- some analysts expect a devaluation of 50% -- meaning the cost of imports would rocket, sending inflation soaring. The social catastrophe could be much worse than that seen in the early years of Greece's bailout programs. Related: Will the crisis kill Greece's summer tourism season? The risk of a failing state on in southeastern Europe is deeply troubling for many governments. Greece is on the front line in Europe's struggle to deal with a flow of refugees across the Mediterranean. The migrants are fleeing war in Syria, Libya and elsewhere, and they're arriving in their thousands in southern Europe. About 60,000 have landed in Greece so far this year, placing even greater strain on the country. Greece has been a member of NATO since 1952, but also has commercial, cultural and religious ties with Russia. Since his election in January, the left-wing government of Prime Minister Alexis Tsipras has sought to develop that relationship, visiting President Vladimir Putin and signing a deal to open a Russian gas pipeline across Greece next year. America and Europe are still trying to exert pressure on Putin over the Ukraine crisis, and won't welcome warmer ties between Moscow and Athens. Former U.S. national security adviser Zbigniew Brzezinski warned earlier this year that Greece could slow NATO's ability to respond to Russian aggression.